Fry for breakfast, bake or use in your favourite cooking. 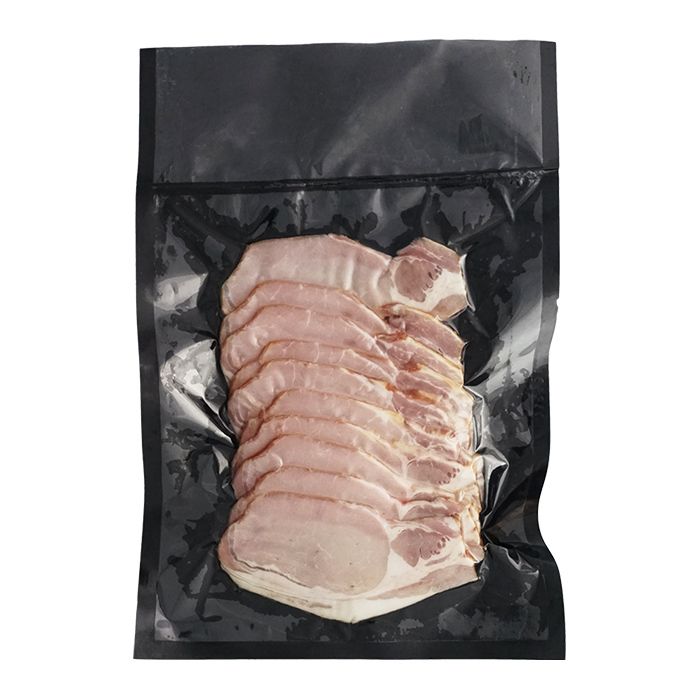 This meaty back bacon is salted over several days and then smoked until it's just right. Alberta pork, sea salt and smoke go into this traditional recipe. No added nitrites.